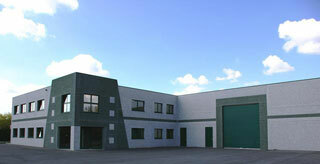 Convoynort - Special handling system, Handling gantries, etc. 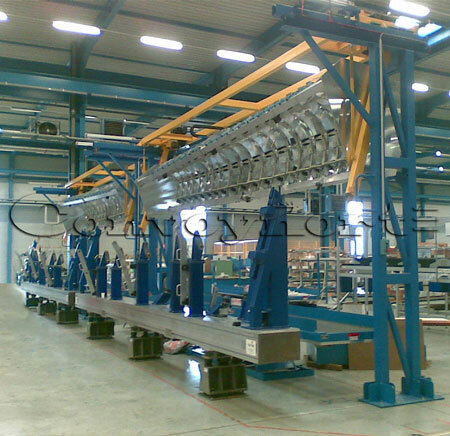 Many Industrial lifting gantries have been built by CONVOYNORT in order to create special moves for machines within aeronautic field. This one has been built in 34 copies. Its particularity is the inclined slope followed by the load during the move. 2000 KG. The helmet must be applied very horizontally upon the edge of wing which waits on special supports. The control system is calculating and rectifying permanently the horizontality of the helmet thanks to infrared cells. Once completed, the helmet moves horizontally back of the gantry to the safety position, in order people can come inside the working station. This CONVOYNORT drop section for travelling bridge has been designed in order of simplifying the handling operations made by working people. 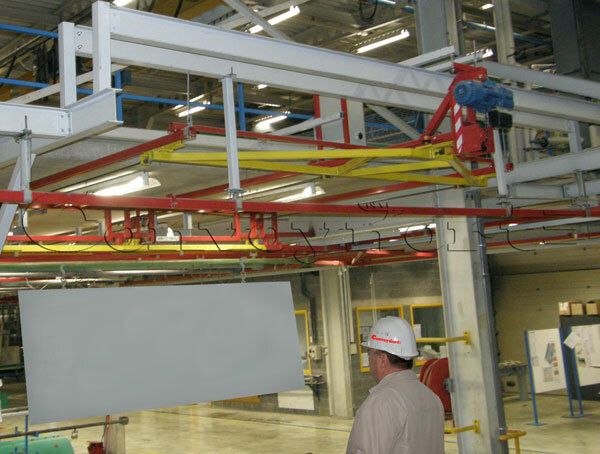 As important part of the required specifications was the need of keeping load bars and work pieces very horizontally in a stabilized position for lifting and horizontal moves. Now, the result is an integrated drop section which is travelling along like a moving bridge and able to cover the all work station area. In more of easing the works, our travelling bridge system allows a high flexibility by offering the choice of work pieces to be treated. 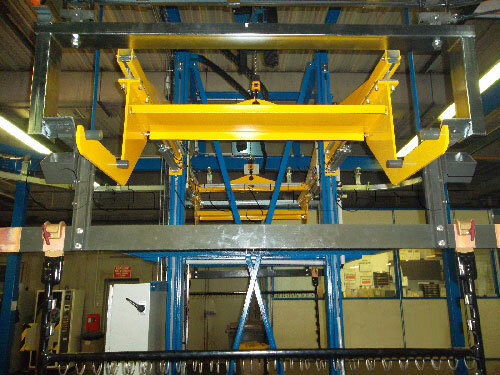 CONVOYNORT has designed a lifting device, for mobile load bars allowing both handling assistance with a user mode and automatic mode for preparation to dipping. The drop section thus designed ensures a great stability of work pieces, and a total security of operators in front of the dipping tanks. 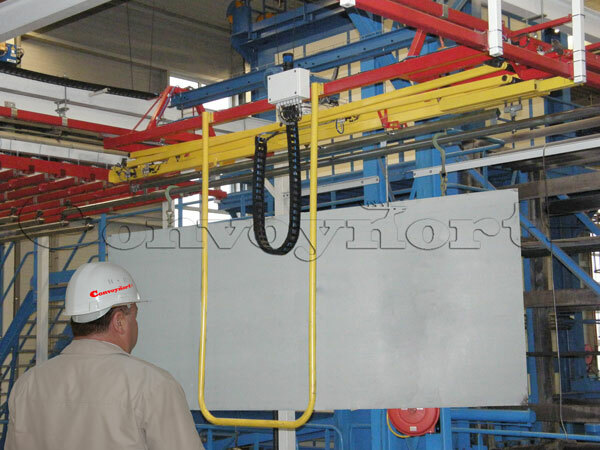 This CONVOYNORT elevator for loads up to 150 KG has been studied in its lowest height for practices reasons. To be located below an existing platform, the height to install the hoisting system was too short in accordance with the required stroke of 3 meters. Rather than to fit the hoist above the work piece, it has been decided to transform the vertical move in an horizontal stroke easing the location of the hoisting system at the side of the platform. The easy access to all equipment is a priority. It's a good example of combination between finding an innovative lifting solution and providing an excellent access to the electric chain hoist.